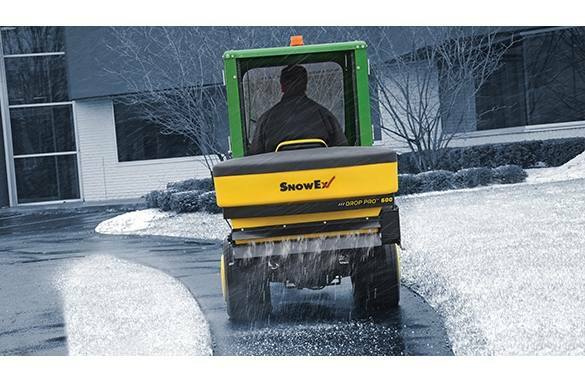 The new SnowEx® Drop Pro drop spreader (SD-600-1) features an all new, user friendly and intuitive variable-speed digital control that offers flexible mounting options. 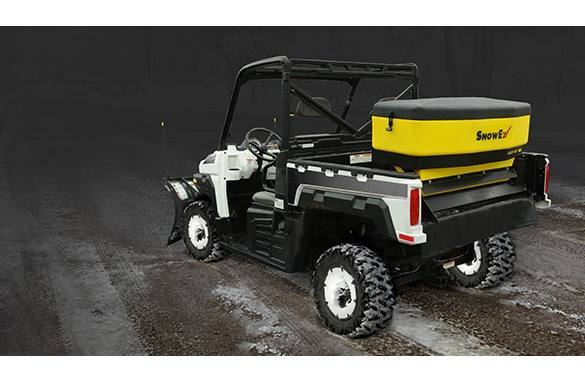 With a 6-cubic-foot material capacity and a 36-inch spread width, the new SnowEx® drop spreader offers controlled application of bagged ice melters and bulk rock salt, making it the ultimate sidewalk spreading solution for use with UTVs, tractors and other compact vehicles. Variable-Speed Digital Control: The enhanced digital control allows for precise material flow adjustment. Features a compact design, bright LED lights and integrated buttons for plug-and-play accessory control. Material Feed System: Features a unique, 36-inch-wide drop material distribution for maximum spreading precision. It's a gateless system designed not to leak any material between applications. Sealed Auger Drive Transmission: To help prevent corrosion and maximize service life, the drive system is sealed for protection against the elements. Vibrating Baffle: The vibrating baffle allows a consistent flow of materials to the material feed system. Fitted Lid: The fitted lid provides a convenient solution for protecting the material from moisture. Top Screen: Keep large clumps of salt out of the hopper with the standard top screen. Strobe Light: Alerts traffic to your presence, especially during night operations. Work Light Kit: Offers better visibility at rear of spreader during night applications. Plug and pray functionality that does not require any additional harness and leveraging the in-cab control. Receiver Mount : Install spreaders on a 2-inch receiver hitch. Three-Point Mount: Install spreaders on the back of tractors.